As teachers, we continually ask students to get out of their comfort zones. We are pushing them every day with new information and experiences. Several years ago, I was embarking on my first 40 book challenge with my Tier 3 reading intervention students. I was going to be challenging them to set a goal (we didn’t necessarily use 40) to read more that year than they had before. I felt like I needed to set a goal that would be similarly challenging for myself. So I started running. My first goal was to run a 5k without stopping. When I met that goal, I decided to train for a half marathon. Now, I hated running – but I wanted to set a goal to do more of something that I hated, in hopes that it would get easier and I would hate it less. It worked. I completed several half marathons. Now, I’m still not a huge fan of running, but I continue to do it anyway. 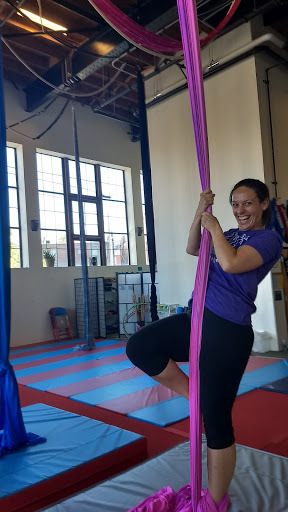 This summer I started taking an aerial silks class at a local aerial arts gym. 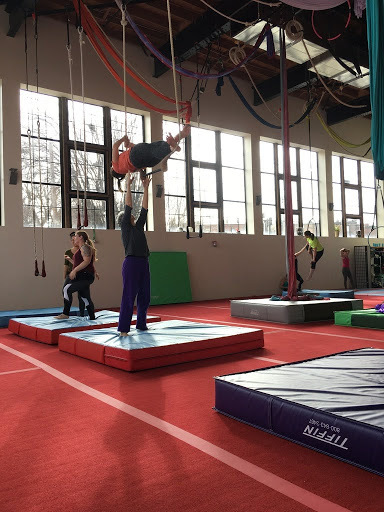 I’ve never been one with upper body strength, which is pretty much essential in aerial arts. I’ve been taking classes for about six months, and I’m still terrible. I can’t do a pull-up, I struggle to get off the ground, everything feels awkward and strange. But, I haven’t quit. 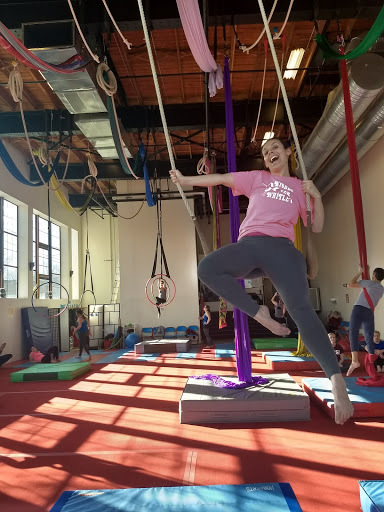 For 90 minutes a week, I am completely out of my comfort zone – doing something that is super hard for me. When I want to quit, I think about how often I ask students to do something that is super hard for them – in hopes that over time it will get easier and they will hate it less. We cannot hold our students to a higher expectation than we hold ourselves. So, what have you done lately to challenge yourself? 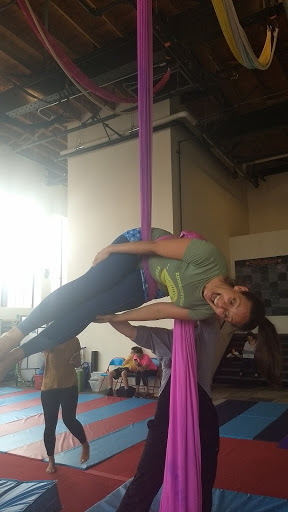 Enjoy these photos of my various aerial arts attempts! See those smiles…that’s 15% enjoyment and 85% fake it till you make it.